Madeira Portugal Holiday Guide - Fully Updated for 2018! 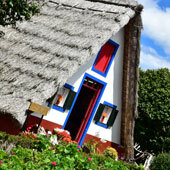 Madeira is a beautiful and fascinating island that makes for a wonderful year round holiday destination. The island comprises of stunning natural scenery, with massive mountains, jagged cliffs, lush forests and delightful flower gardens. 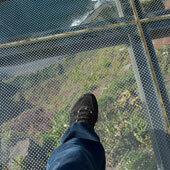 The people of Madeira are welcoming and hospitable, which reflects the laid-back and generous nature of the Portuguese. As a holiday destination Madeira provides, a glorious climate, excellent tourist facilities and tremendous value for money. 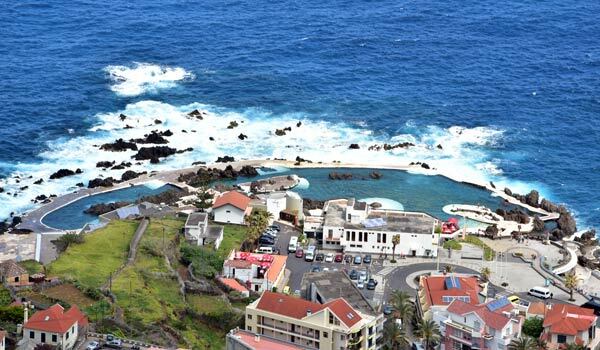 There is a lot to see and do in Madeira, from challenging mountain hiking though to discovering historic towns or simply relaxing in the natural sea lava pools of Porto Moniz. 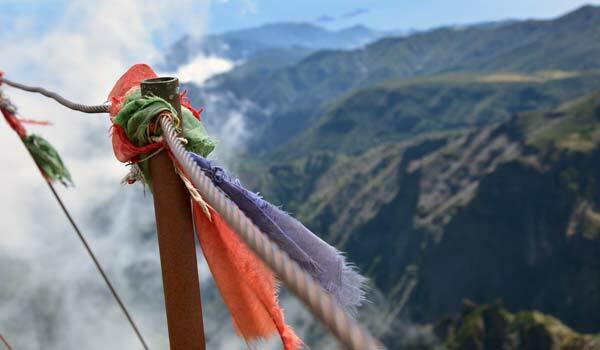 This wide variety of sights and activities means that Madeira is the ideal destination for the more intrepid or independent tourist who wants more than just sitting by the pool for their holiday. This guide will provide an introduction to the enchanting island of Madeira, one of Europe’s last undiscovered holiday destinations. Madeira is a territory of Portugal but it is significantly closer to mainland Africa (800km) than to Lisbon (1,200km), while the Canary Islands are less than 400km to the south. Madeira is often referred to as the ‘island of the eternal spring’ due to its climate, which is pleasantly warm throughout the entire year. 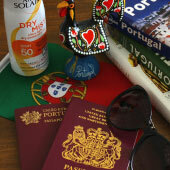 The southern latitude of Madeira would expect a destination of soring heat and parched lands but this is not true. The Atlantic Ocean tempers the temperature extremes, while the mountains and moisture-laden winds ensure rains fall and keep the island lush and green. The actual temperature of Madeira hardly alters during the year and this makes Madeira an almost year round holiday destination. 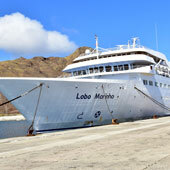 Madeira is a destination that should appeal to a wide range of tourists. The island is safe (crime is virtually non-existent), has European standards, comforts and values, while providing exceptional value for money. These traits typically entice the more mature visitor but Madeira is an exciting island wanting to be discovered by the independent tourist. Hire a car, climb a mountain, eat a delicious sea food meal, party in Funchal, hike through a river valley, watch a whale or simply admire the stunning scenery – Madeira demands to be explored! A visit to Monte; travel up by cable car and return via the toboggan run. 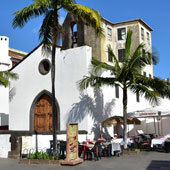 Most visitors to Madeira are based within the capital, Funchal, where over half of the island population live. Funchal is a pretty and welcoming city that overlooks the main harbour with it’s never end flow of cruise liners. The capital is a charming mix of classic Portuguese white washed houses and small churches inters-paced by carefully maintained gardens and parks. The interior is formed of massive extinct volcanoes and steep values that have been carved out by the constant flow of water through the black basalt rocks. 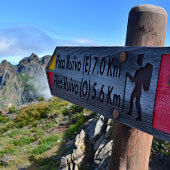 Pico Ruivo is the highest point of Madeira at 1,850m while close by the third highest peak, Pico do Arieiro, which is connected by tarmac road to Funchal. The deep and inaccessible valleys of Madeira provided protection and safety to the early population of Madeira during the numerous pirate raids. The most famous of these valleys is the Curral das Freiras “Nuns Refuge” which is protected by cliffs on three sides. Cutting through the interior are the water canals and channels that directed the flow of water from the lush northern side to the fertile eastern side of Madeira. These complex waterways crisscrossed the entire island and today provide visitors with wonderful walking and hiking routes that are called the Levadas. The coastline of Madeira is a jagged mixture of massive cliffs and stony beaches. The cliffs outside the town of Câmara de Lobos are some of the highest in Europe and there is a fear inducing skywalk which protrudes out over the 500m drop. 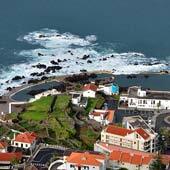 The remote town of Porto Moniz on the very north western edge is famed for its lava pools that are filled by the high tide and are located in a dramatic setting. Madeira is an international airport and this provides direct flights to the majority of Europe. 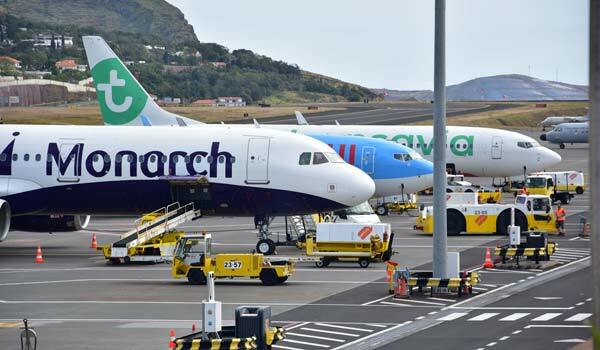 Madeira has enticed the low cost airlines to fly to the island and this has significantly reduced the cost of flights, with very cheap tickets available if purchased well in-advance. Major airlines include EasyJet, TAP, Airberlin and Thomson Airways, but it is recommended to use a flight search engine to find the best prices. The airport is to the north eastern side of the island and the majority of visitors travel to their hotel via taxi or pre-booked transfer as public transport is limited. When to visit Maderia Portugal? 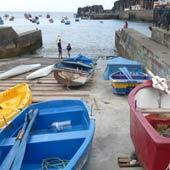 There are two peak seasons for Madeira; the Christmas holidays and school summer holidays (July-August). 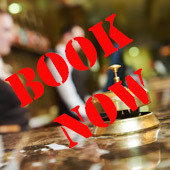 At both of these times hotels will be at their most expensive and flights will be fully booked, if visiting at this time of year always book flights and accommodation well in advance. Late spring and early summer are the best times of the year to visit as the weather is at it’s best and is before the main tourist season. The winter months experience the most rain but this tends to fall on the northern side of the island, whereas Funchal typically is much drier. Madeira is not a conventional destination for children but the Portuguese are very welcoming and supportive for families, especially if traveling with young children. Families will be welcomed in all restaurants and most hotels and the island is very safe. Is language going to be a problem? All people who work within the tourist industry speak English fluently and often a third language. All restaurants menus will have an English section, while all transportation use English as the second language. The Portuguese always appreciate an effort to speak their language. 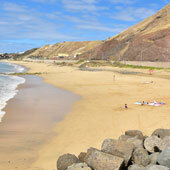 The powerful waves and strong sea currents has prevented the coastline of Madeira retaining any meaningful sandy beaches. This is actually a blessing for the island, as the lack of sandy beaches has prevented Madeira being overrun by package holidays, as with the cultural devoid Canary Islands. Most mid to top end hotels have swimming pools or sun decks and there are two artificial beaches but Madeira should not be considered as a beach holiday destination. The wide variety of sights and activities means that Madeira is actually an ideal holiday destination for many who would initially discount the island due to the lack of sandy beaches.